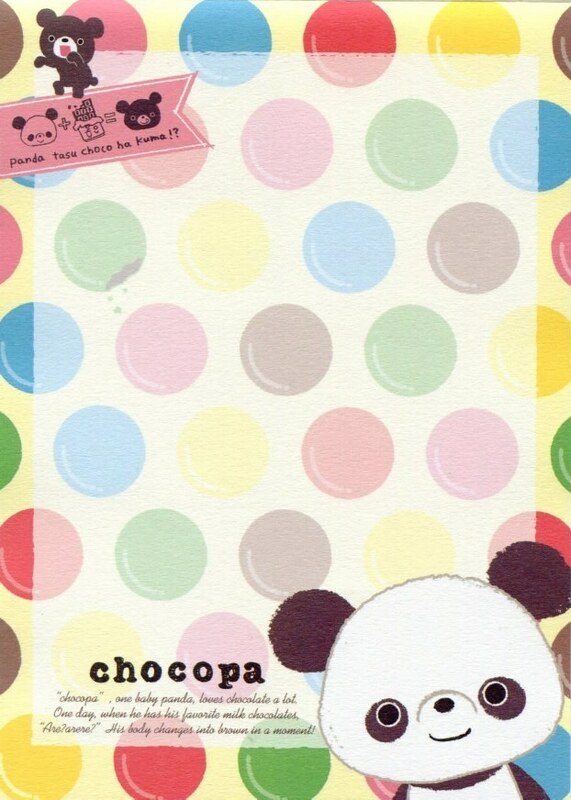 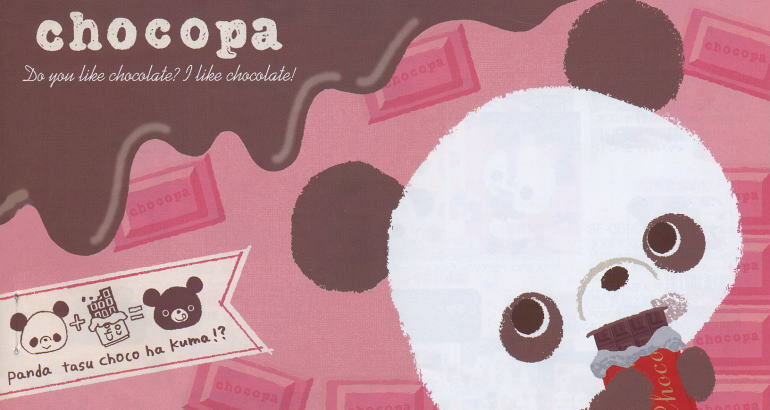 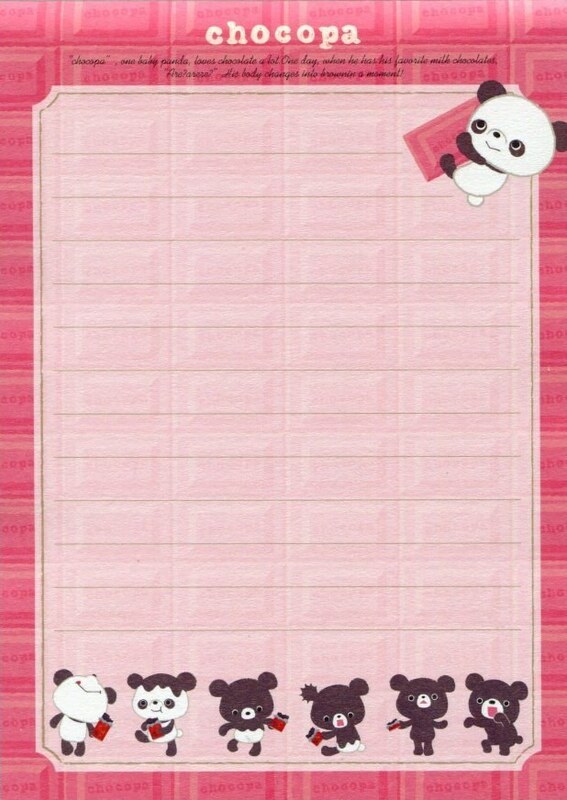 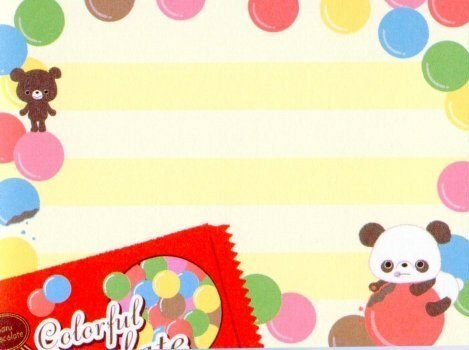 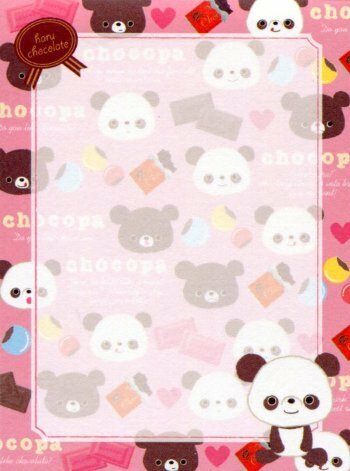 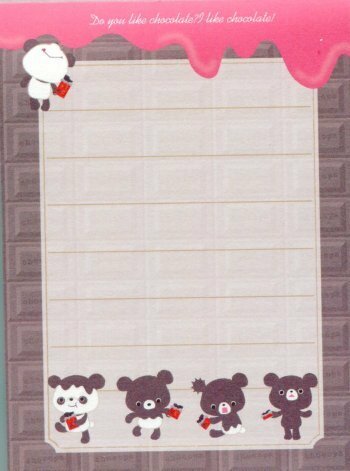 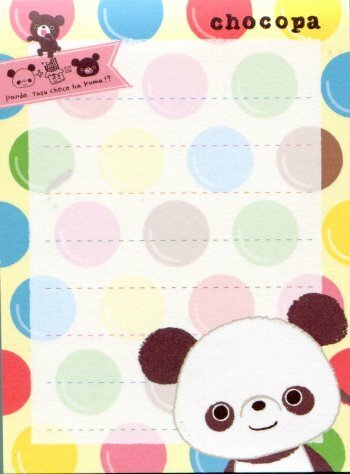 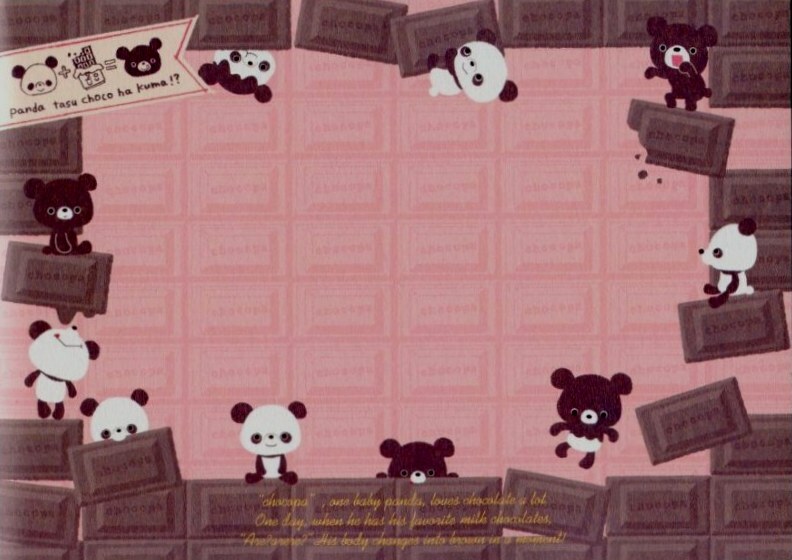 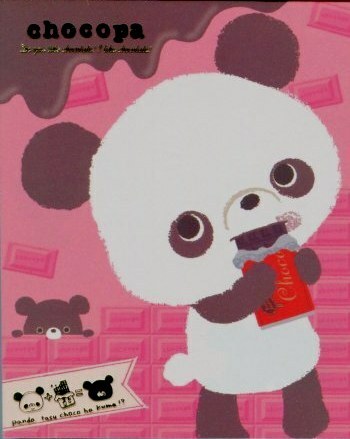 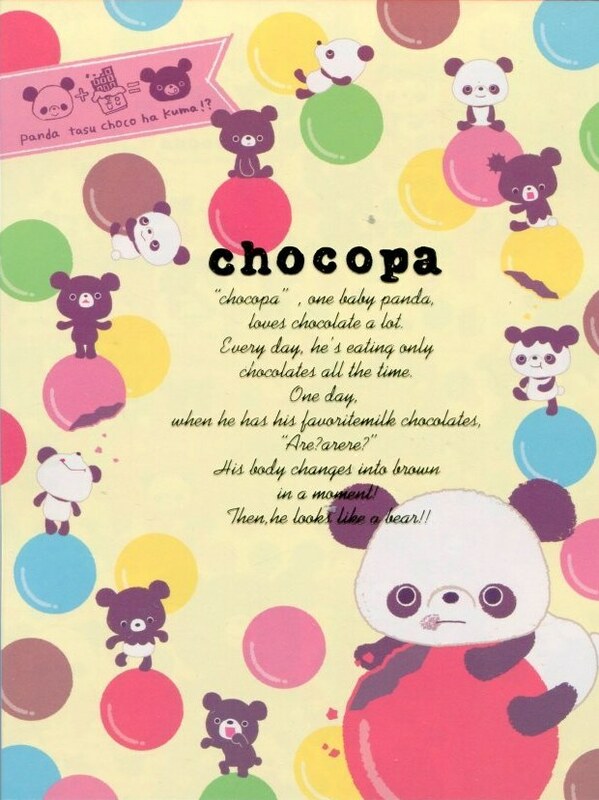 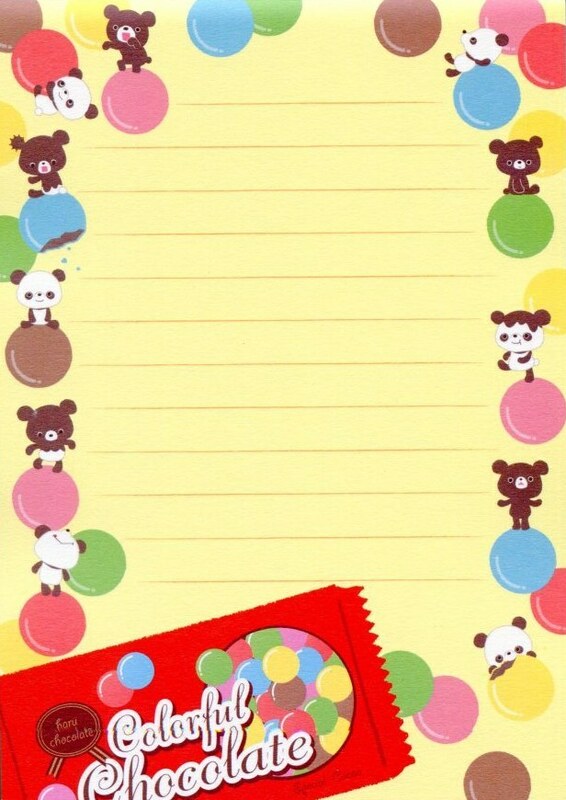 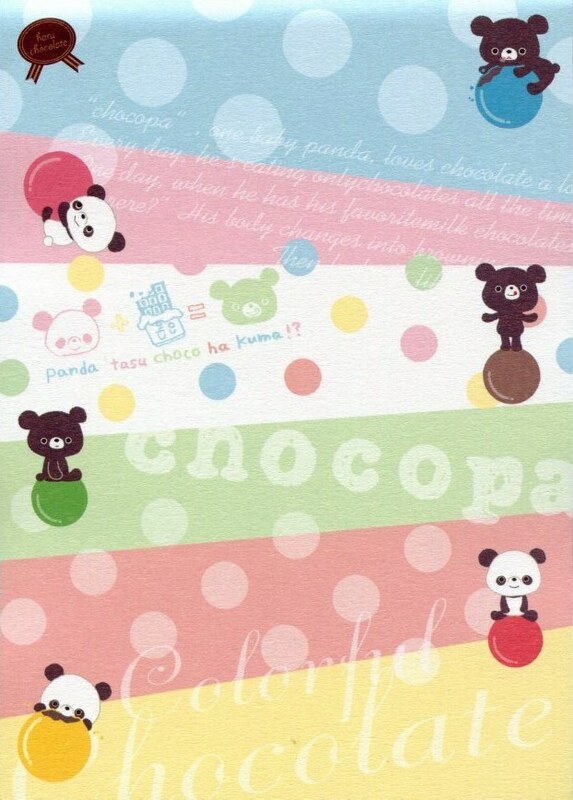 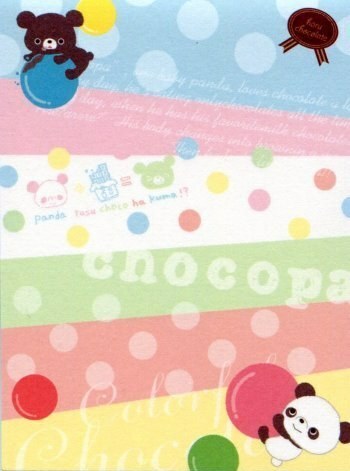 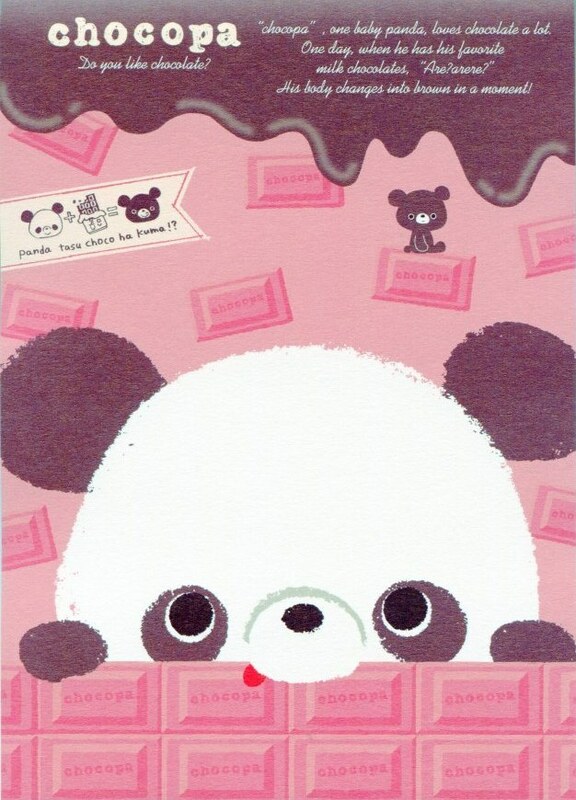 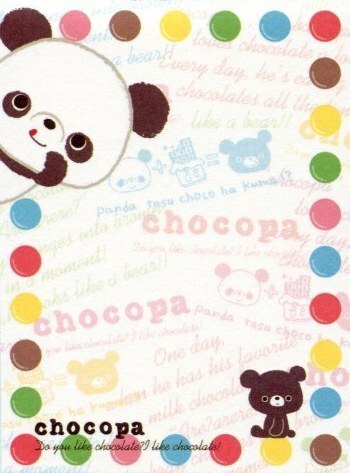 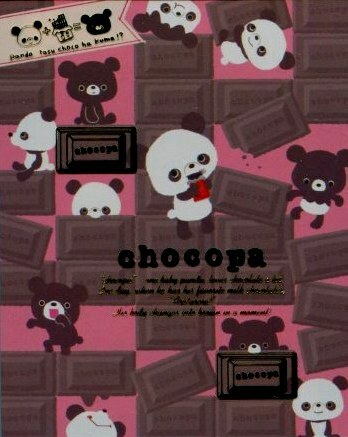 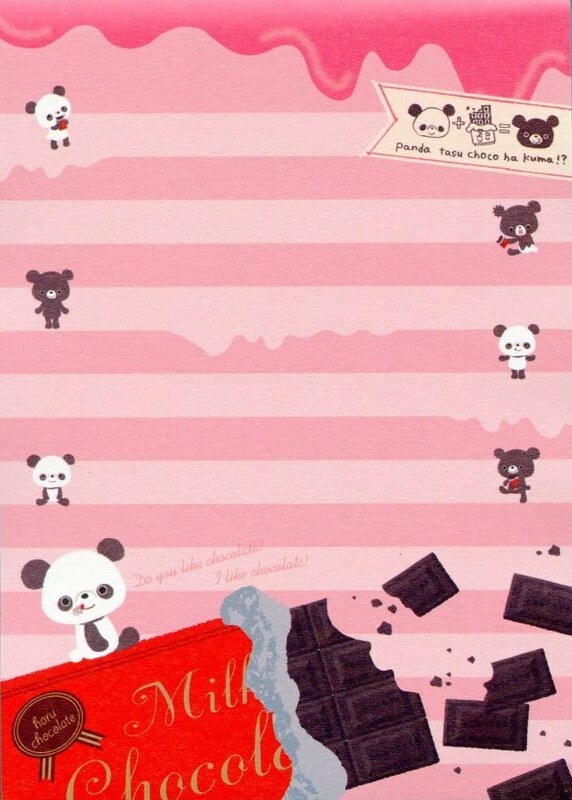 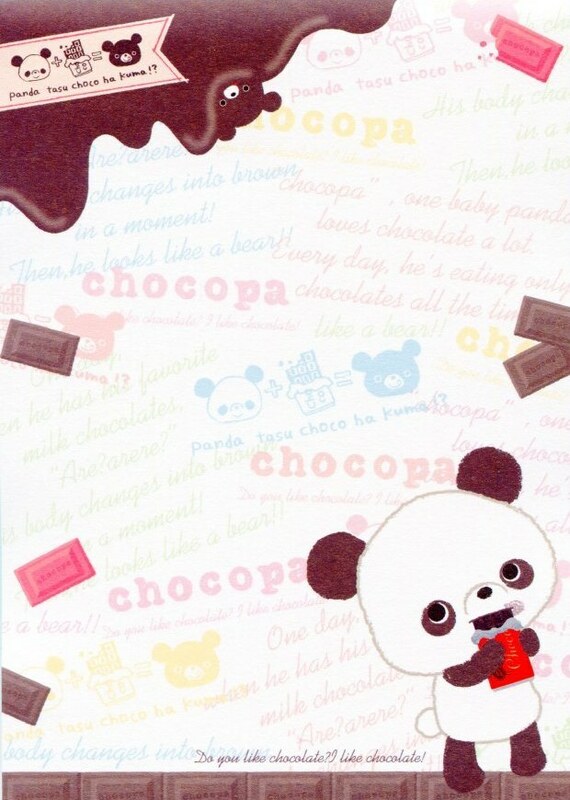 The panda child, Chocopa, loves chocolate. 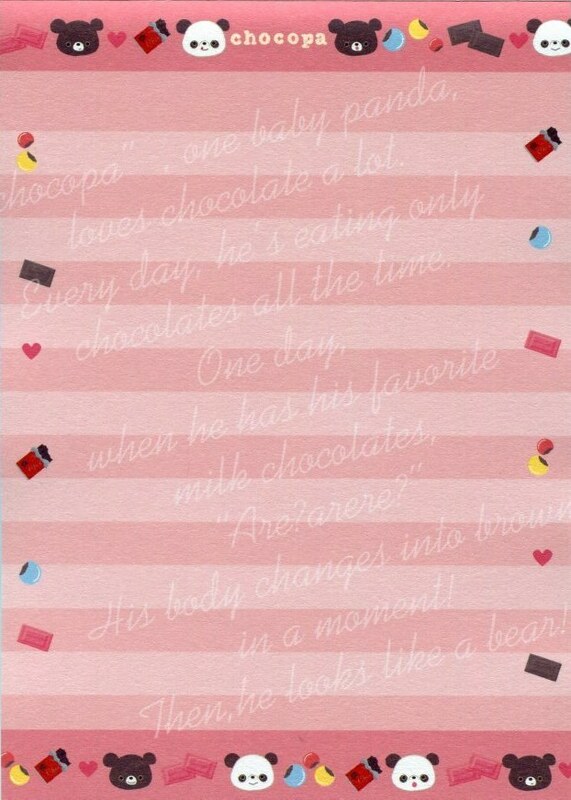 Everyday, everyday, she passed time and only ate chocolate. 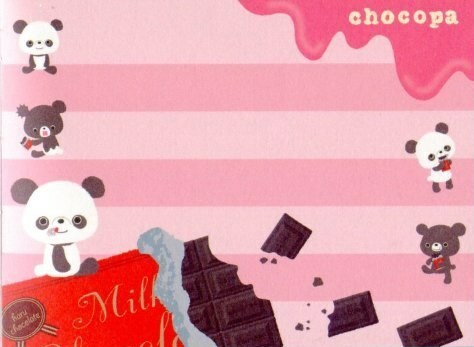 Then one day... she bit into the milk chocolate that she loves. 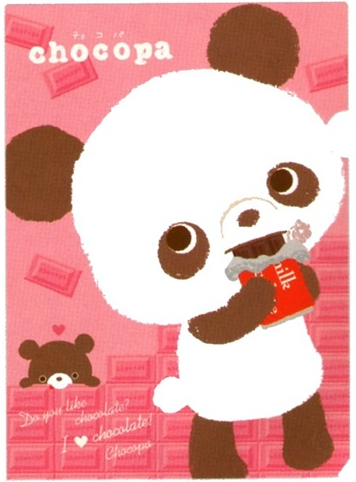 Then...what? 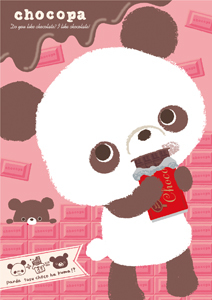 Whaaat? 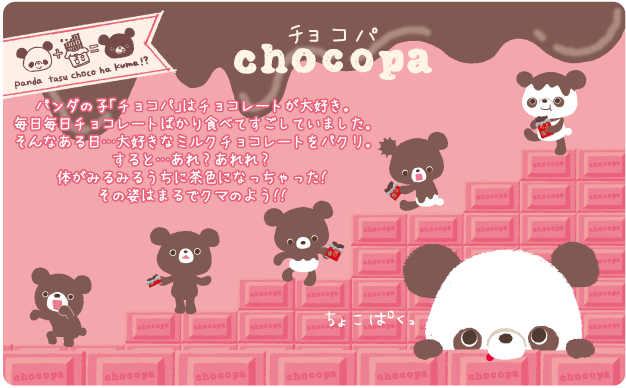 In less than no time at all she became brown! 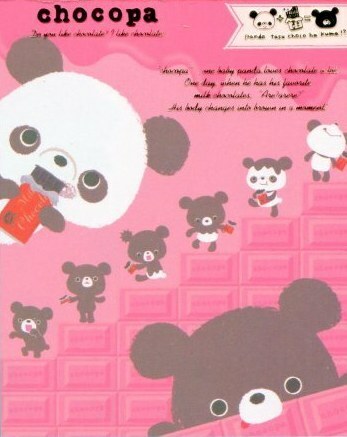 She got stuck in this bear form!! 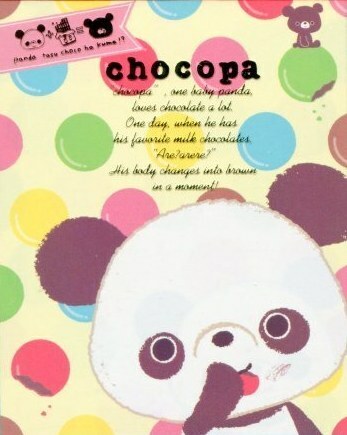 i remember seeing a squirrel with glasses.. :3 chocopa's best fren?